We heard you! Loud and clear. I got several hundred emails from Manly Training fans and followers who were wanting me to do a Podcast. Based on the information I got from you, I created this Podcast for you. Please let me know what you think about it and send me more of your great ideas and things you would like me to discuss. Have a great day and as always….be a man! Click HERE to read why we Created ejq3 and it means. Together – Biblical Unity at It’s Best! UNITY. The only way to achieve “Heaven on Earth”. This manly trait is essential if we are to live a complete Christian lifestyle! Listen to this 10 minute podcast. Together – Biblical Unity at It’s Best will bless you. Patreon allows you to support this Non-Profit 501(c)(3) organization with a tax free donation. Your donations and support will go towards program material, training material, summer camps and much more. In addition, we have overhead such as the website and its maintenance, transportation, and well, my family and I need to eat. 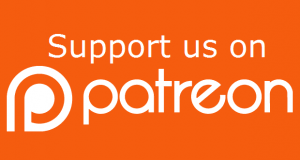 On Patreon you can pledge as little as $1 a month, and in return you’ll get some pretty cool rewards, ranging from your name and blog on my MTM VIP page, exclusive content, and PODCAST VERSIONS of my posts! You can support Manly Training Ministries with as much as you want, I won’t stop you. But I will pray for you and with great gratitude, we will receive it and put all of it (100%) to work for the ministry. Posted on March 12, 2018 March 4, 2018 Categories PODCASTTags christian, Christianity, disciple, how to, life, manly training, PODCAST, share, together, unityLeave a comment on Together – Biblical Unity at It’s Best!